Ski Areas Association of New Zealand (SAANZ) Chair Marty Toomey says the industry has recorded the highest ever skier days for a season with 8% growth in 2017 and 1.6m visitors to New Zealand’s ski areas nationally. This adds to steady growth over the past four years averaging 5% per year as a result of industry investment in new lifts, facilities and snowmaking. “New Zealand ski fields had a bumper 2017 season with major new infrastructure, and new features on some of our biggest ski areas a key driving factor to success. The result smashed the previous record set in 2009 when the Australian Government tax breaks provided an unprecedented uplift in trans-Tasman arrivals. All predictions point to another record setting year in 2018 as season pass sales heat up ahead of winter. Add to that the success of our athletes in PyeongChang, and we’re expecting the New Zealand industry to continue growing. The growth in international arrivals during winter remains strong fueled by the Australian market in particular. And it’s not just kiwis loving the snow. The growth in international arrivals during winter remains strong fueled by the Australian market in particular. Destination Queenstown CEO Graham Budd believes that for New Zealand to leverage the strength of the international market in winter ticks a lot of boxes for tourism strategy as a whole. A recently announced $25m, 1.8km gondola for Whakapapa is scheduled to open in June 2019 and is predicted to drive an additional $50m of visitor spending in the Ruapehu visitor economy annually from when it opens. $50m of further investment is planned for Turoa and Whakapapa as part of a $100m, 10-year development strategy. 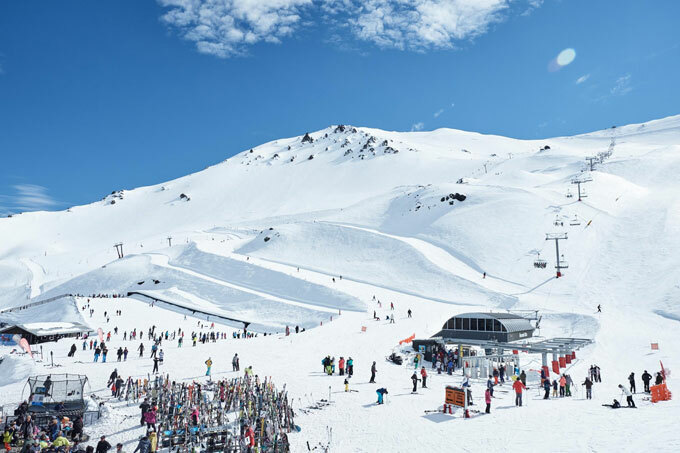 In the South Island, Queenstown’s two closest ski fields, The Remarkables and Coronet Peak, have experienced growth off the back of major investment and improved terrain and product. The Remarkables ski field has undergone a $45m upgrade in recent years including a new six-seater speed chairlift, new trails, snowmaking and the addition of an award-winning base building. This, along with the Remarkables big mountain experience, has spurred visitor growth of more than 40%, enabling the ski field to plan major expansion in the near future. The infrastructure investment continues with nearby Cardrona ski field being acquired by tourism giant Real Journeys. Investment includes a new Chondola, base facility upgrades and improvements in terrain, carparking and snowmaking. 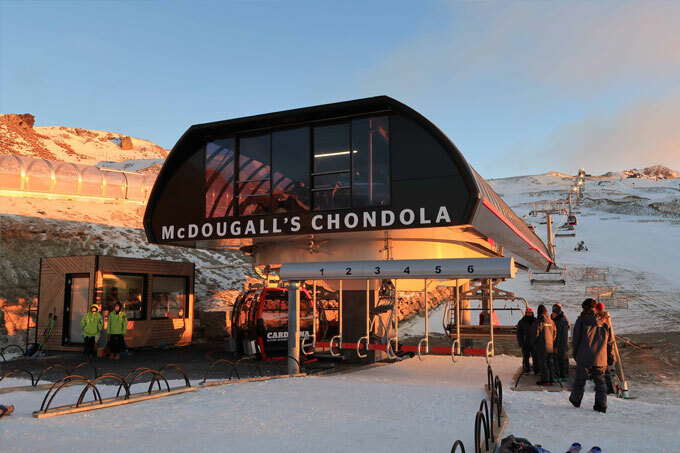 The $10million McDougall’s Express Chondola opened in 2017 – a “combined” lift of gondola cabins & chairs – and is the first cabin-style lift on a ski area in New Zealand. The Chondola increases uphill capacity by 150%, which means it reduces queues on the other mountain lifts. 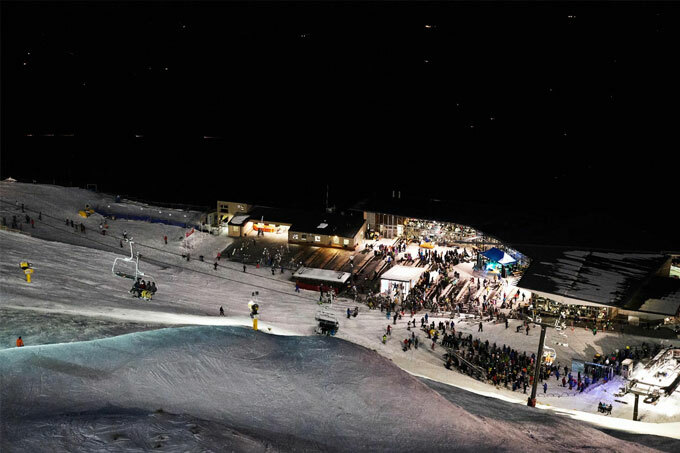 Cardrona experienced its biggest ever year with visitor days eclipsing 300,000 for the first time. Canterbury’s Mt Hutt ski area has once again celebrated being voted the best ski resort in New Zealand for the third consecutive year. The 2017 season brought record snowfalls delivering more than 6 metres of snowfall across the season. Visitors loved the conditions, as well as the extended terrain after the ski area grew by 21 hectares of skiable terrain in 2017. This summer, the company bought the 40 bed Porters Lodge and built a professionally designed mountain bike track, ensuring year-round operation and revenue.